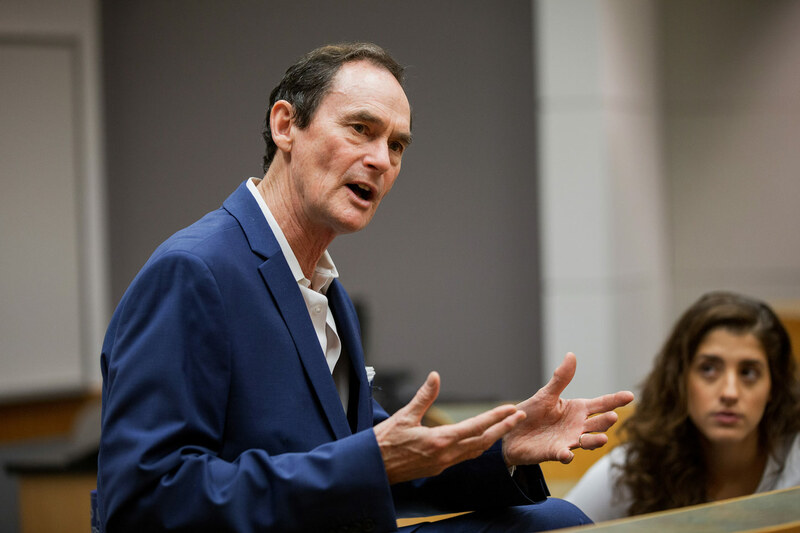 Robert S. Mattison, Marshall R. Metzger Professor of Art History, has been selected by the prestigious Hauser & Wirth Institute to oversee the creation of a comprehensive digital catalog of paintings produced by acclaimed abstract expressionist artist Franz Kline between 1950 and 1962. Mattison, a long-time scholar of modern art and Kline’s work, is collaborating on the project with former student Jennifer Gross ’85, founding and executive director of the Hauser & Wirth Institute. Kline, a native of Wilkes-Barre, Pa., gained immense international fame in the 1950s for his large-scale black-and-white paintings. 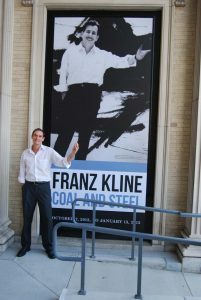 Kline, who died in 1962, was influenced by his Pennsylvania roots among other sources; his work reflects industrial coal and steel imagery. Mattison wrote an extensive exhibition catalog about Kline’s work and curated Kline art exhibitions at Allentown Art Museum and in New York City in 2012. Through these exhibitions, Mattison developed a close relationship with the Franz Kline Estate, one that would lead to an unexpected—and serendipitous—reconnection with Gross. Gross, a well-known art historian and scholar, was asked to write about Kline for another exhibition. Through her attempt to research Kline and his body of work, she became aware of the inaccessibility of primary documents on the artist. “Having to compile information for a focused essay was a challenge,” she says. “I realized there was an opportunity there. What should we know about Franz Kline’s origins? “The project involves traveling to study and analyze individual works. The precise physical properties of each work will be determined. Each work will be put in the context of Kline’s oeuvre and will be linked to the artist’s overall development. The provenance of each work will be traced back to Kline’s studio. The project entails a great deal of archival work at museum libraries, public institutions, like the Archives of American Art, private archives of dealers and auction houses, and the notes kept by the artist’s colleagues and individual collectors. Also, records will be assembled as to each time a work is illustrated and discussed in the literature on the artist. All of this information will be assembled in a clear format that will provide an indispensable source for future scholarly studies of Kline and his era. What draws you to Kline’s work? Wonderful project, Bob! I enjoyed reading about it.